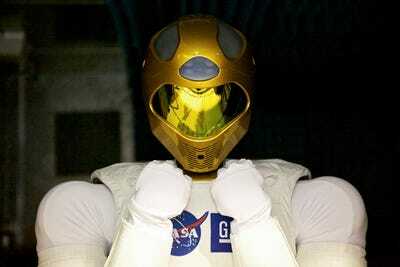 WASHINGTON, DC — Space robots have been in the news a lot lately. We have the Curiosity rover on Mars doing science and other rovers, landers, and orbiters studying the planets in our solar system and beyond.But there’s also been a lot of talk about sending humans back to the Moon or even to Mars. So what’s the future of space travel — humans or robots? Since Eugene Cernan left the moon in 1972, humans haven’t traveled further than the International Space Station. 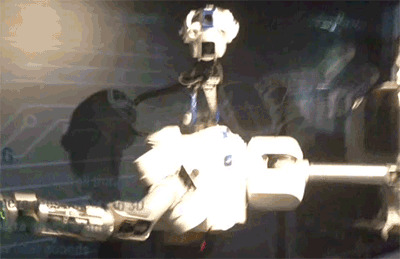 We’ve sent dozens of robots and machines further into space, though. He’s just a torso, but has incredibly dexterous hands. Sadly, he can’t think or make decision on his own — he’s just a tool at the mercy of astronauts and researchers. 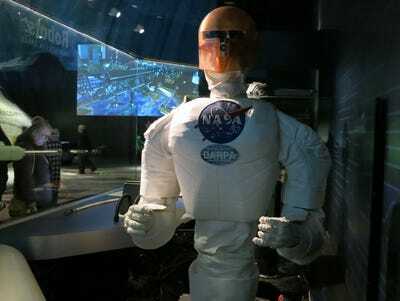 These kind of robots could be great to send out on a space walk outside the ISS, which would save the astronauts time spent dressing and keep them inside out of harms way. 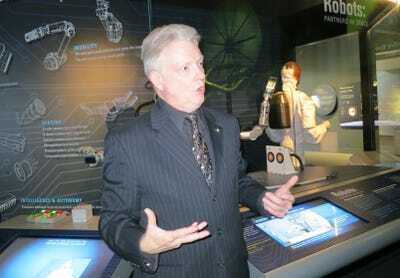 The other astrobot they had on display at the museum was DARPA’s Autonomous Robotic Manipulation (ARM) robot. This one actually has a brain and can make decisions, though not very well. He can also be used in a variety of military applications. He’s supposed to sense and then act. You give him a task, you don’t necessary tell him how to do it like you would something else. So ok, so, he’s an office worker. And he looks down and he sees the stuff that’s on the table and moves his arms around, he looks around a little bit, moves his arm over, pushes it down on top of the stapler and staples the piece of paper just like he’s supposed to. So that was great, and I said, let’s do it again, so they told him to do it again.